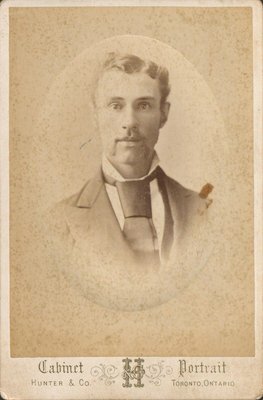 A cabinet photograph of William Walker. Hunter & Co is listed as operating photography business in Toronto on 39-41 King St. West after 1878. Further orders can be obtained by sending this card or No.